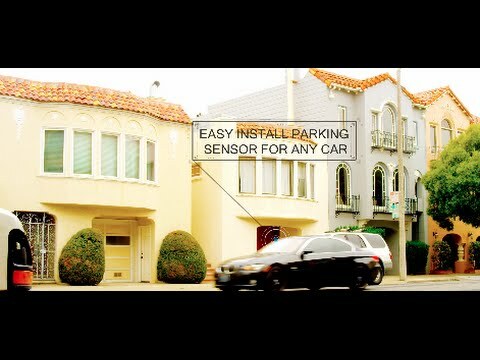 FenSens is a license plate based smart wireless parking sensor on your smartphone. It's an affordable upgrade for any Car installing in less than 5 min, with no wires, and includes a hands-free App (Android/iOS) that launches instantly providing convenient audio, visual, and vibration alerts when objects are dedicated in front or behind your vehicle. No complex setup or installation fees. Use your smartphone with an included app. Easy-to-use App launches hands-free instantly even if your phone is in your pocket. App launches instantly hands-free and allows you to easily access other connected car apps. Ultrasonic parking sensors provide audio, visual, and vibration alerts on your app. Smart parking sensor mounts on front and/or back of your vehicle. Weather proof for long-lasting use and completely wireless for simple installation. Universal AA battery size lasts 5 months. Available for iOS (4s + iOS7.1+ preferred) and Android (5.0 with 4.4 software+) smartphones. Kit includes one smart license plate frame.